Our focus is on what you need today. We won’t “upsale” you on car repairs you don’t need. 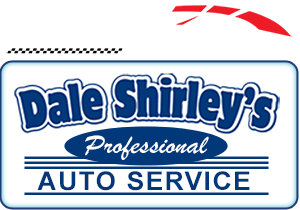 When you choose Dale Shirley’s Professional Auto Service, you have the freedom to be the customer you want to be. Our highly trained staff can baby your ride until it’s a fine-tuned treasure of automotive perfection. Or we can just fix that broken tail light and get you back on the road. It’s all up to you. Car on a lift in Dale Shirley’s garageLooking for a shop that provides exceptional general maintenance service? You can prolong your vehicle’s life with less major repairs if the maintenance is done right. Take care of the small things and the big things take care of themselves. At Dale Shirley’s, we’ve invested in a fluid exchange and flush machine for every fluid in your vehicle. (Not many shops can say the same.) We test your brake fluid with fluid test strips, not by eye alone. This is especially important with ABS systems on more and more cars. We’ll track your maintenance schedule in our computer data base and email you when your next mileage maintenance interval is due according to your manufacturer’s maintenance recommendations. No matter your make of car or truck, if you’re looking for the best in general and preventative maintenance, contact Dale Shirley’s Professional Auto Service today.